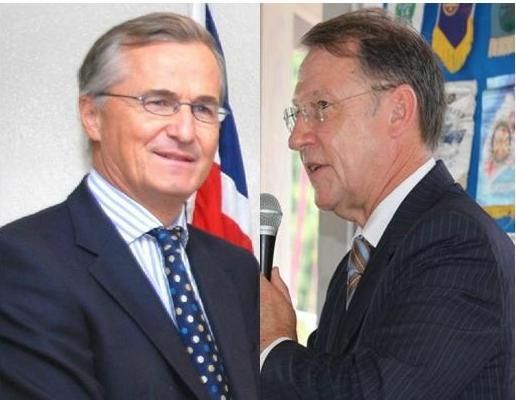 It may appear sometimes that Her Majesty the Queen’s Representative John S Duncan OBE and at least one other previous Governor at times were not able to take showers because of the lack of water at the Government-owned mansion referred to as Government House located in Road Town. 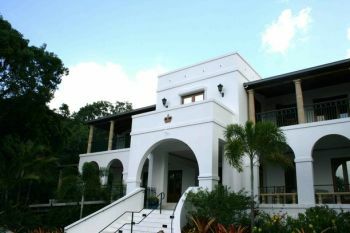 One of the issues that came out of the House of Assembly’s Standing Finance Committee report while the Private Secretary to the Governor, Mrs Natalie Fahie-Smith, was testifying before the committee to Examine the Draft Estimates for the year 2015 is that funds are desperately needed to repair a leaking cistern at the Governor’s residence. Mrs Fahie-Smith told Legislators that the leaking cistern was a major concern, as it did not hold any water and oftentimes the Governor “had no water supply”. When questioned by the seasoned Legislator and Chairman of the Virgin Islands Party Honourable Julian Fraser RA (R3) as to how long the problem existed, Mrs Fahie-Smith said; “for about three to four years” and made it clear that last year she brought the matter again before the Standing Finance Committee but it was not addressed. The Private Secretary to the Governor stated that there were two cisterns and the one in question was a backup so when the other one ran low; technically, there was no back up and this needed to be rectified. The member for the Third District, Hon Fraser, enquired on the cost to fix the cistern. To this Mrs Fahie-Smith stated that she had received a quotation for approximately $11,000.00. In November 2003, the new governor’s residence was completed at a whopping cost to tax payers of $3.2 million dollars. The first governor to occupy the mansion was former Governor Thomas T. Macan. The project, which included a reception hall, was built by Meridian Construction and designed by OBM and FCO Estates. so know he feels what we peolple face each day! I think the case is overstated. Its called litotes - exaggeration for the sake of emphases. It is the back up cistern that leaks, not the main one. A house costing over 3 m built just a few years ago who is to be held accountable? I had a cistern leak. Little to no street water. I purchased a submersible pump, drained the cistern dry, went in and shoved muck from bottom into pail which wife pulled up, tapped walls until found leak, fixed, painted two coats with proper paint and it has not leaked since (5 years)!! $11,000??? are you kidding me?? Tel them to give you the job and let them pay you the $11,000 since they got money to waste. If water and sewage dealt promptly with reported burst mains and water pouring down the hill to waste it might help. Took them six hours to turn off mains at Watley/Macnamara junction yesterday in spite of several calls. These people are ignorant and corrupt dinosaurs with the wisdom of a reptile.